The new 313-acre national cemetery in San Diego, California, will serve Veterans' needs well into the 21st century. It is located about 15 miles north of downtown San Diego at the northwest corner of Marine Corps Air Station Miramar. The main entrance to the cemetery will be on Nobel Drive between Miramar Road and Interstate 805. 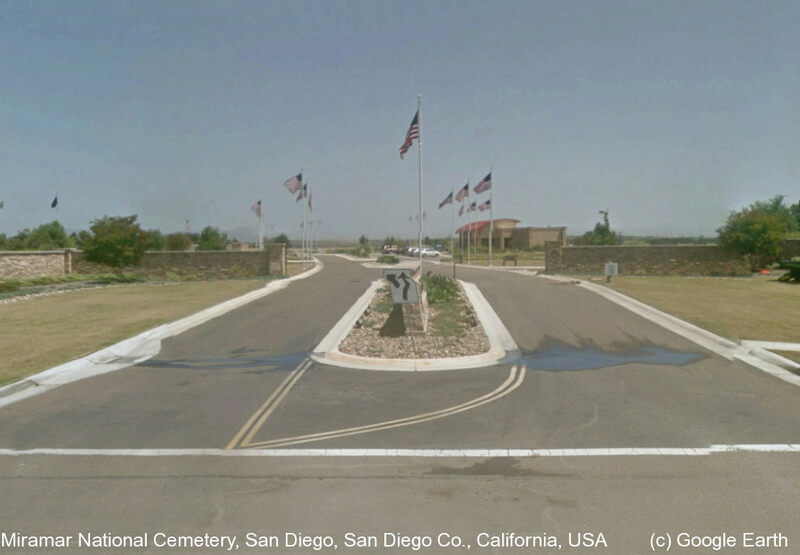 Miramar National Cemetery will include both gravesite and columbarium facilities, providing a full range of burial alternatives to approximately 235,000 Veterans in San Diego County. Nearby Fort Rosecrans National Cemetery closed to first interment casketed burials in 1966, though it continues to provide casketed interments of family members of those currently interred and inurnments of cremated remains. Riverside National Cemetery, located approximately 90 miles from Fort Rosecrans National Cemetery, is currently the nearest national cemetery offering full burial options. The new facility will be built on land provided through a land-use agreement with the U.S. Marine Corps. This project, based on a design by Van Dyke Landscape Architects in San Diego, will develop approximately 42 acres of the 313-acre site providing 10 years of burial services. The project will include an early turnover area, which will allow VA to start burial operations by late 2010 while construction continues on the remainder of Phase 1 and its permanent facilities. Phase 1 construction will include approximately 11,500 conventional gravesites; 4,500 in-ground cremation sites; 10,000 columbarium niches; an administration building and maintenance complex; two committal service shelters; and a public assembly area. The project will also incorporate systems for water distribution, roads, utilities, signs and landscaping. The full phase 1 project is scheduled for completion for the end of 2011.